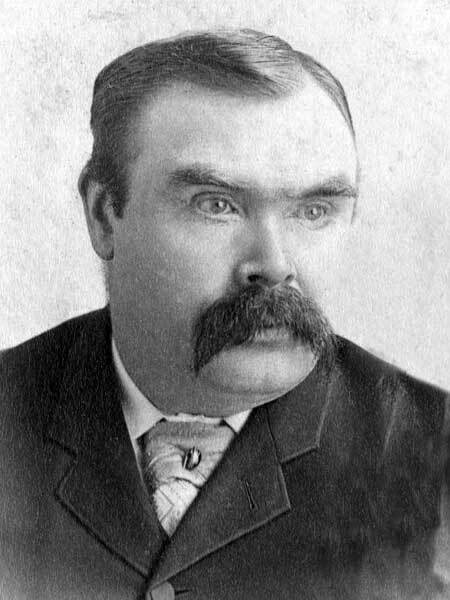 Blacksmith, MLA (1892-1895), MLA (1896-1899). Born in Scotland in 1849, he came to Manitoba by way of Ontario around 1874. When the town of Nelson was organized, he moved there, opened a blacksmith shop and served as Mayor. When the town was bypassed by the railway, he moved with the town to Morden in the 1880s. A brother-in-law of James Rippoth Bonny, he had nine children: Dr. James Duncan (1872-? ), Euphemia Duncan (1874-? ), Margaret Duncan (1876-? ), Thomas Duncan (1878-? ), Georgina Duncan (1880-?, wife of W. H. Gray), Alexander Duncan (?-? ), Harry Duncan (?-? ), Ernest Duncan (?-? ), and Jessie Potter Duncan (?-?, wife of E. J. Boardman). Defeated in the 1881 by-election for the Dufferin North constituency, he defeated R. P. Roblin in the 1892 provincial election and was re-elected in 1896. He retired from provincial politics in 1899 and took a position with the immigration department which took him to Syracuse, New York. He died there, of typhoid pneumonia, on 27 October 1910. His body was returned to Morden for burial in the Hillside Cemetery. “Western pioneer,” Manitoba Free Press, 29 October 1910, page 20.